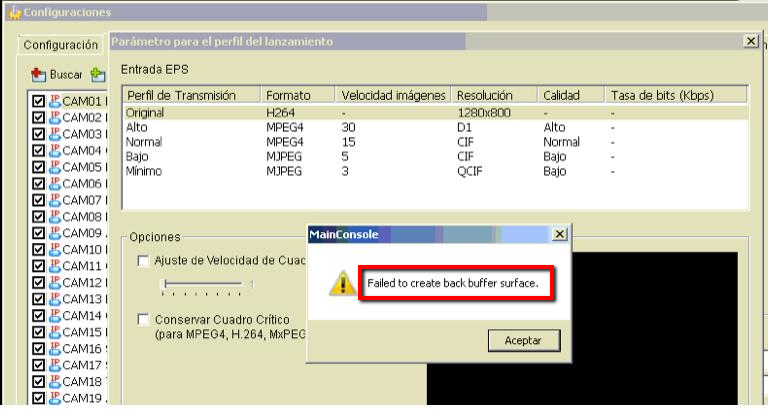 Why do I receive the message of ''Failed to create back buffer surface''? When click ''camera setting'', ''stream profile'' or “schedule configuration” from the setting page of Mainconsole, it will pop up the warning message of ''Failed to create back buffer surface'' message. Mainconsole failed to decode the image. Use an independent graphic card in your PC, it has to support the camera resolution and D3D function. Please follow another Wiki to see if your graphic card supports D3D or not and how to enable it on here.